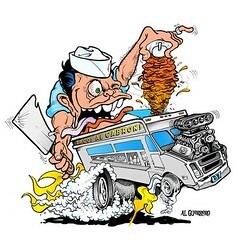 Cartoon by Al Guerrero to help Save the Tacos Trucks. 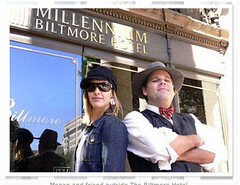 Megan and I vamp for the episode I helped shoot with her downtown. 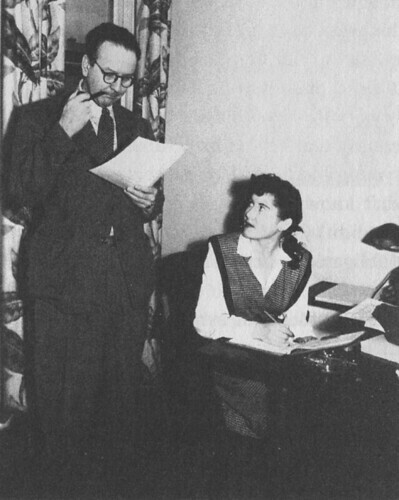 I am going to dinner with Dot (Raymond Chandler’s former secretary from Paramount Studios) after the visit to the Watson Archive. Loren Latker is the mastermind behind all of this. I am visiting the Watson Photo Archives this afternoon. Their family (four generations) has almost single handedly documented the city. And one of them took this photo.